The ideas of ‘good governance’ and ‘budget transparency’ are intricately related where one practice often influences the other. Over the past few years, the importance of transparency in governance has been amply stressed upon and budgets, in this context, are looked upon as primary tools that can be used to hold the government accountable. In view of this, it is pertinent to see where India stands in so far as budget transparency is concerned. The International Budget Partnership (IBP) carries out an annual survey on transparency in government budgets covering more than 100 countries, including India. Named the Open Budget Survey (OBS), this global investigation is based on an internationally comparable methodology using 109 equally weighted indicators to measure budget transparency on a scale of 0-100. The country-wise survey assesses eight key budget documents (pre-budget statement; executive’s budget proposal; enacted budget; citizens budget; in-year reports; mid-year review; year-end report and audit report) of the national government to find out whether they are made public (i.e. available online) in a timely manner, and on the relevance of the information provided by the same. The latest survey (OBS 2017) was carried out between September and December 2016, thus covering the developments up to 31 December 2016, in the financial year 2016-17. In this survey, with a score of 48, India ranks slightly higher than the global average score of 43. The survey highlights that the global average score of budget transparency has declined by 2 percentage points from 45 in 2015 to 43 in 2017 for the first time since the inception of such a kind of survey in 2006. In terms of publishing timely and relevant information in audit reports and in-year reports, India has performed well in comparison to other countries. But, by not publishing pre-budget statement and mid-year review in 2016 India has lowered its score- survey highlights. However, had the OBS been carried out for financial year 2017-18, India’s score would have been higher; as the advancing of presentation of union budget by a month as the full budget gets enacted before the start of the new financial year. Going beyond the overall transparency index, the survey looks into a couple of other critical indicators for enhancing budget transparency. One of them is the scope available for public participation in budgetary processes and India has scored only 15 out of 100 on this scale which is only slightly better than the global average of 12. Needless to say, this leaves a lot to be demanded. With regard to the role of legislatures and that of the Comptroller and Auditor General (CAG) in providing oversight on budgets, India’s score is 48 out of 100. As the functioning of these oversight institutions is very crucial in ensuring an accountable budgetary process, there is a need for stepping-up efforts in this domain as well. In a welcome move, for the last couple of years, the union government has been publishing many of its budget documents in machine-readable excel formats. This has the benefit of improving accessibility and usability of budget data. 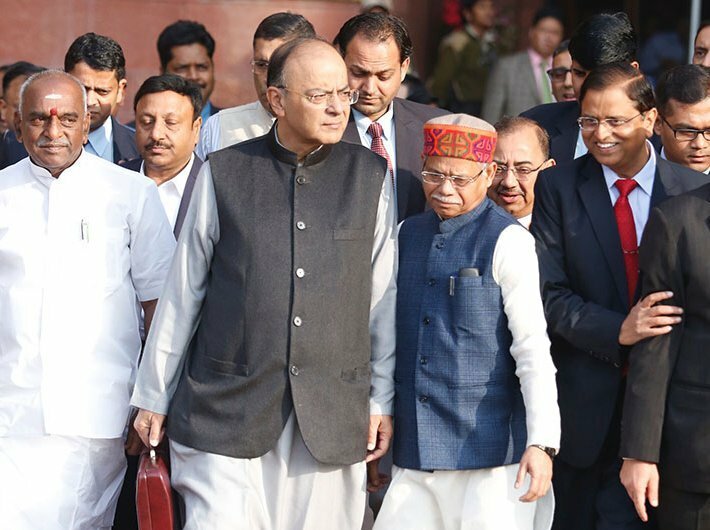 Further, to the demands of making detailed demands for grants (detailed information of the heads of expenditure for the ministries and departments of the union government) accessible, the budget speech promises links to all detailed demand for grants at india.gov.in. The government’s plan to consider feasibility of providing disclosed fiscal information in a machine readable form is also appreciation worthy. If these documents are not available under a single platform, it would restrict the efforts of researchers and policy makers in understanding the nuances of budget allocation for various purposes. Bringing these together under a single platform and in a timely manner would ensure greater usability of such data for researchers, journalists and policy analysts. The scope of open budget survey is limited to the national level and does not capture budget transparency or institutional accountability mechanisms at the subnational levels, especially at the district level. Information on fund flow and utilisation of development schemes at the district level becomes imperative in tracking the actual outcomes of these public funds. Since 2014-15, funds for the development schemes (routed through centrally sponsored schemes) are now being channelised through the state budgets and hence through the treasury route, led to more transparent system and executives are accountable to the legislature and the people at large. However, a lot more can be achieved if states start publishing their budget data in machine-readable forms. Further, dearth of locally relevant district-specific budget information restrains public participation in various stages of budget cycle. Making the state and district treasury data available online in a format that would help public to engage in the discourse can serve the purpose of enhancing transparency in use of public money. Further, making relevant information available in the public domain under Public Finance Management System (PFMS) of the government would also serve the purpose. In this regard, adequate budgetary provisions made by the union government to strengthen online treasury management and institutionalising of PFMS can go a long way in strengthening the ongoing efforts of the state governments. Making such data easily accessible to public can enable real-time tracking of flow and utilisation of funds -- this would be a major step towards budget transparency in the country. Authors are with the Centre for Budget and Governance Accountability, New Delhi.